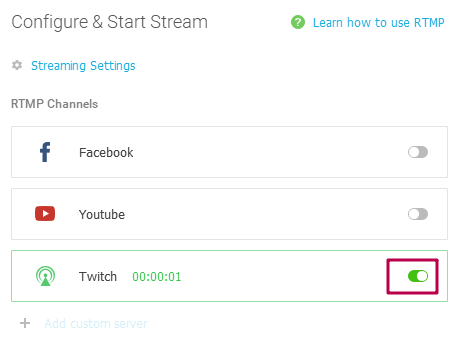 The RTMP feature allows you to broadcast directly on Facebook, Twitch, USTREAM and YouTube live events. 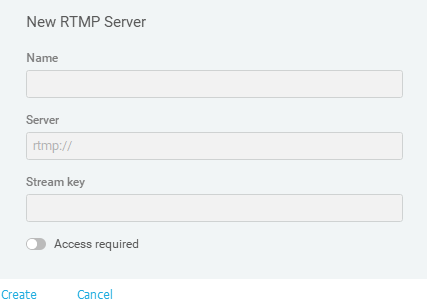 To start a live broadcast you have to know the server’s address and stream key. 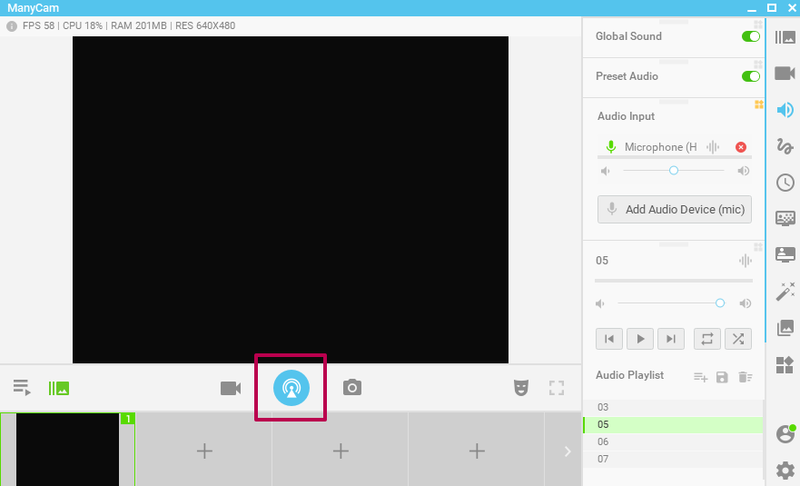 Below you can find some information that may help in setting up your broadcast. 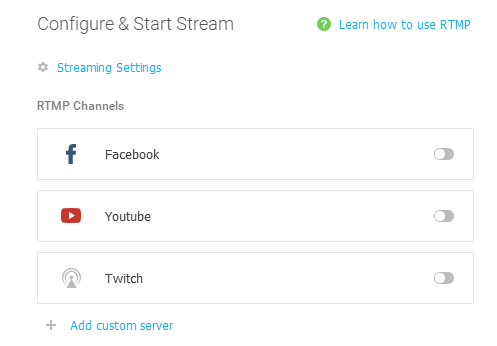 You can find both the server address and the stream key on your Ustream dashboard. Please follow the USTREAM’s official guide. Please see this short video tutorial showing how to set up a Live event. You can also check Youtube’s official guide. 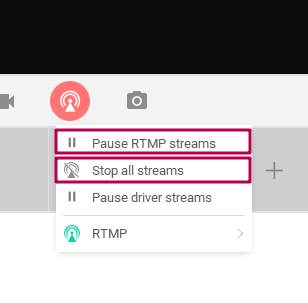 In the opened window, you can either start streaming to Youtube or Facebook using predefined options available in ManyCam by default or create a new custom RTMP server for your broadcast. To properly set up your Facebook stream, please refer to this article. To set up Youtube Live, please follow their official guide. Here, please pick a name for your stream, and enter the server address and a stream key. 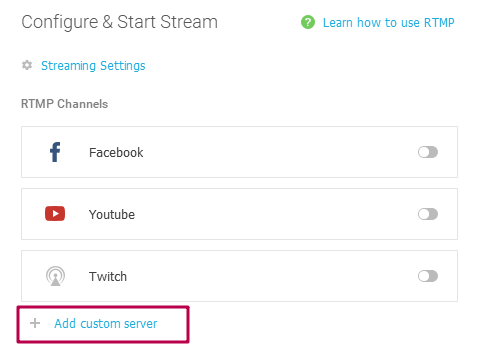 These settings are provided by the streaming platform. Please refer to their manuals to find them. 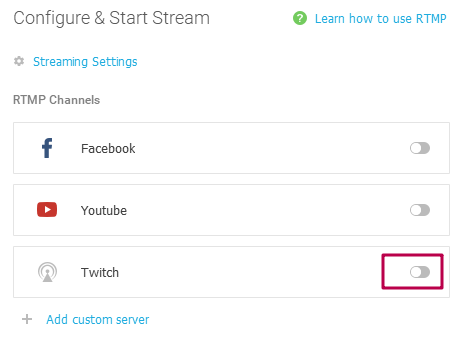 Once you finished setting up your stream, simply turn on the switcher to go live.